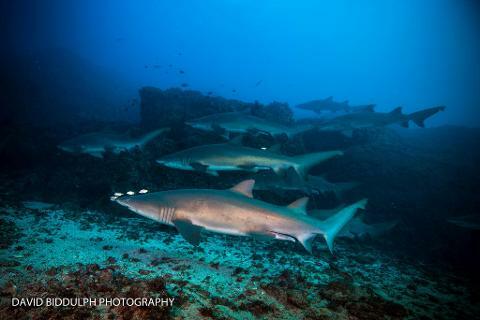 If you haven’t been diving around North Stradbroke Island then you have missed out on the best dive sites our area has to offer. All sites are situated around large exposed and unexposed rocks and reefs around Point Lookout. Visibility is good all year around. The most popular sites are Flat Rock, Shag Rock and Manta Boomie. 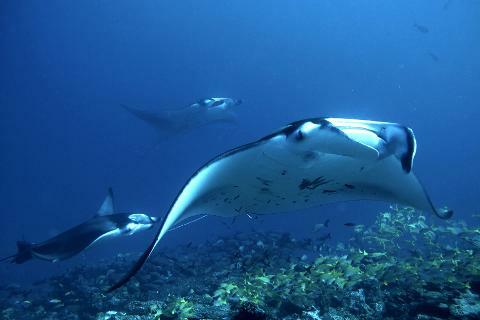 Manta Ray season has started and there is no better place to dive with these amazing creatures. Come and join us for an amazing day. 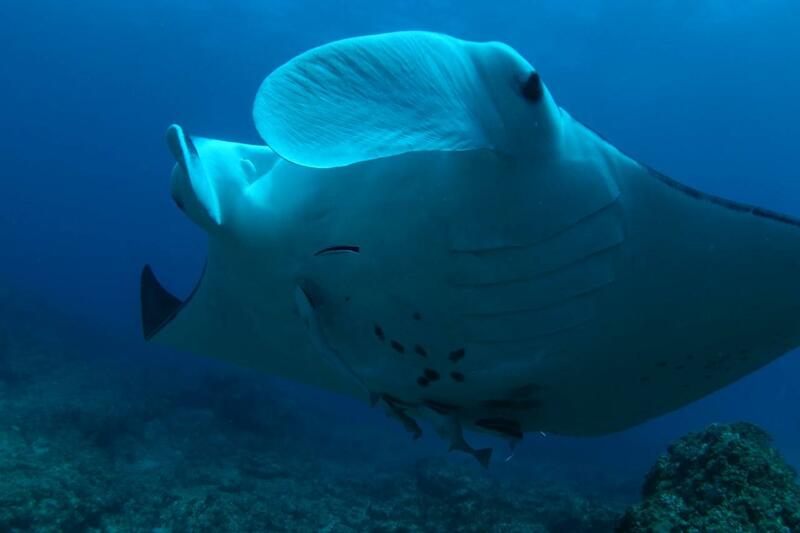 This dive is operated by Manta Lodge and Scuba Centre, the island's only SSI and PADI dive centre, equipped with 2 custom-built dive boats. This is a half day trip ex Cleveland via the water taxi with island transfers arranged between Dunwich and the Dive Centre. The diving vessel departs directly from the beach at Point Lookout with only a short 5-15min boat ride to the sites. This is ideal for anyone with sea sickness problems. We have quality hire gear available including computers. When confirming your booking please add any gear hire requirement on the next page. To help us sizing your gear, please enter your boot size and height on the booking form. To Cleveland, you can travel by car or train to the Ferry Terminal and there is plenty of free parking. Travel time from the Gold Coast is approximately 1h10min and 25min from Brisbane CBD. The Water Taxi brings you over to Straddie in about 20min. Gold Cat (Stradbroke Flyer), departs from Cleveland at 5:45am for the morning dive or 10:45am for the afternoon double dive. The transfer from the Dunwich ferry terminal to the scuba centre is via Manta Lodges shuttle bus. The boat departure time is 7:30am. We should be back at Cleveland by approximately 2pm. Simply follow the booking process to view our standard and trip specific Terms and Conditions including our cancellation policy. Please ensure you read all the fine print prior to completing your booking as this trip has some specific special terms and conditions.